Social networking giant Facebook is rolling out latest innovative features to its users and now it is giving its paid Wi-Fi Services in most of the countries. Android mobile phones. 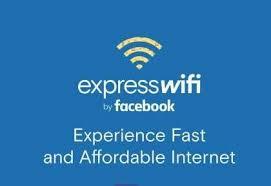 Express Wi-Fi is a carrier-provided connectivity service that are known to be affordable Internet. This new app will let the users to buy Internet connection from telecos rather than purchasing expensive connections, and in some places, slow connections. Express Wi-Fi Android App is now rolled out only in the countries like Kenya and Indonesia. Facebook Express Wi-Fi is now available on Google Pay by which users can buy data packs and also find nearby hotspots which are easily accessible. Express Wi-Fi service are also launched in India where 700 hotspots across four states like Uttarakhand, Gujarat, Rajasthan, and Meghalaya are made available for now. To get this app working users must download an from a telecom operator to reconfigure their phone settings. Facebook spokesperson has said as ” Facebook is releasing the Express Wi-Fi app in the Google Play store to give people another simple and secure way to access fast, affordable internet through their local Express Wi-Fi hotspots.” However TRAI had rejected the scheme because of its violation of net neutrality. Amazon Echo vs Google Home vs Apple HomePod: Which is right for you? The ruling party in telangana had removed my name from the electoral list at the time of municipal(Hyderabad) elections. I am a Senior citizen and retired from TNHB, CHENNAI. Since 2014 , I am residing in Hyderabad and receiving the pension. I am having PAN card , but not submitting my return after the retirement. After revision of the 7th pay commission, my pension has been raised to ₹3.00 lakhs above. Let me know whether I should submit the return for 2017-2018. Amazing Paytm Travel Offers on Flights, Bus and Hotel.